MBF Labs is the world’s leader in providing stereological analysis services. MBF Labs is a contract research organization that utilizes the innovative software produced by MBF Bioscience to provide you with unbiased, detailed analysis using stereology and neuron reconstruction. We realize that there is a need for our customers to greatly increase the rate of their data collection. By outsourcing your data collection and analysis to us, we better enable you to devote your valuable time for experimental design and interpretation. Our staff scientists are skilled at all aspects of data collection and management. We are adept at projects ranging from exploratory pilot studies to full, complex projects. MBF Labs will use the most advanced systems available to collect your data. An additional benefit in allowing us to collect the data for your study will be the elimination of the necessity to invest in costly specialized equipment, personnel and facilities. We will apply our experience as recognized leaders in neuroscience quantification to help you effectively attain your research goals. MBF Labs will be there to guide you every step of the way from designing the study, collecting the data, evaluating the results and providing a formal written report of the analyses. In the final report you will not only get the results from the data collection, you will also receive an interpretation of the results along with statistical analyses. Let MBF Labs be an instrumental part of your research by providing you with the most expert and dependable data collection and analyses. 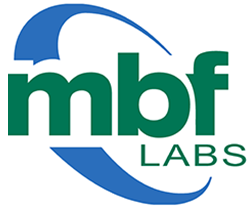 MBF Labs, LLC, was founded by MicroBrightField, Inc., the developer of the foremost system for stereology in use today. Stereo Investigator is the most widely recognized tool for providing reliable stereological analysis. Jack Glaser is the President and co-founder of MBF Bioscience where he has led the development of MBF’s products, including Neurolucida and Stereo Investigator, MBF’s Stereology system. He works closely with many leading international researchers to advance the fields of computer microscopy and quantitative analysis. Susan Tappan, Ph.D. is a Staff Scientist at MBF Bioscience. She has a broad interest in developmental neuroscience with a focus in neuroanatomy. Her dissertation research at the University of Virginia focused on the development of the rat gustatory system in the laboratory of David L. Hill. Postdoctoral training with Edwin W. Rubel at the University of Washington and Rae Nishi at the University of Vermont expanded her expertise in imaging and quantitative methods in the developing auditory system of the chick. Joining MBF Bioscience in 2005, she assumed the role of staff scientist, assisting product development and educational training in stereolgy. Dr Christoph Schmitz, our chief consultant, obtained an M.D. in 1993 from RWTH Aachen University, Germany. He also received his Habilitation in Anatomy in 2001. He serves as Professor and Head of the Department of Anatomy at Ludwig Maximilians Universität (Munich, Germany). Dr. Schmitz’s recognition as a renowned neuroscientific research authority engaged in applied stereological principles as well as a consultant to the pharmaceutical industry makes him uniquely qualified in this field. Dr. Schmitz now serves as the director of consultancy services for MBF Labs.